The pilgrimage to Santiago has been and still is one of the most attractive cultural and religious event. 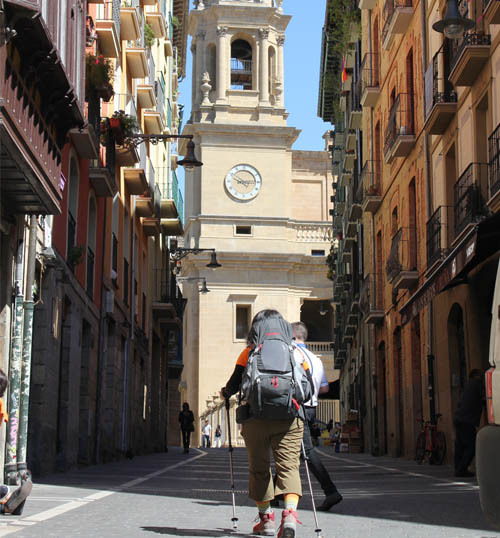 Out of the many ways that lead to Santiago, the French one that goes across Pamplona, is the most traditionally known. Along the 800km. distance that separate Saint Jean de Pied de Port from Santiago, pilgrims come upon countless treasures like beautiful landscapes, architectural jewels, gastronomy… This route is perfectly well marked and signalled along the way and offers lots of spots where to rest and find some comfort. If you have made up your mind to go along the French route, you are welcome to our hostel “Plaza Catedral”! 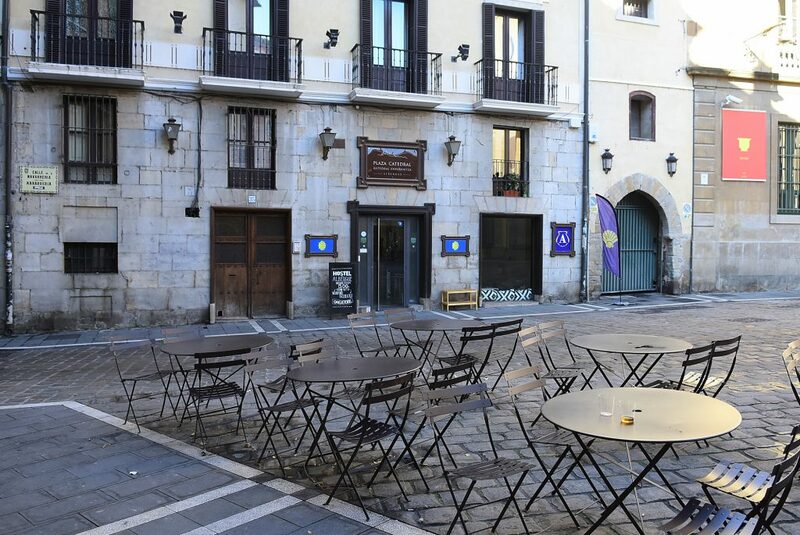 The hostel is located near the Cathedral of Pamplona/ Iruña, right in the centre of the historical old part of the city. You will find us as you enter the town through the “Portal de Francia” or “French Gate”. Go along Carmen street till you reach Navarrería street and turn to the Cathedral which is less than 50m away. From here you can enjoy the atmosphere of the old part of the city and visit numerous cultural treasures. Recently open, the hostel offers all the comforts. Beds are 2m length. The view you get from the rooms is that of the facade of the Cathedral or of an inner refreshing and calm garden. In “Plaza Catedral” we do not forget those pilgrims who choose to travel by bike. There is a special parking place where to safely keep them. 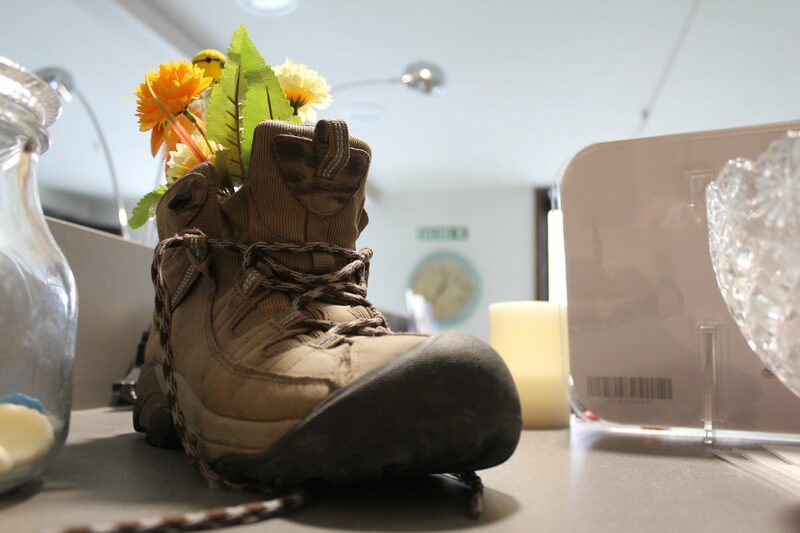 Times to either come in the hostel or leave it are free the 24hrs a day since we provide a codded number system. Enjoy the city and take a break with all the comfort the hostel “Plaza Catedral” offers you! !